We have just received an offer from a Hungarian wholesaler of white goods. 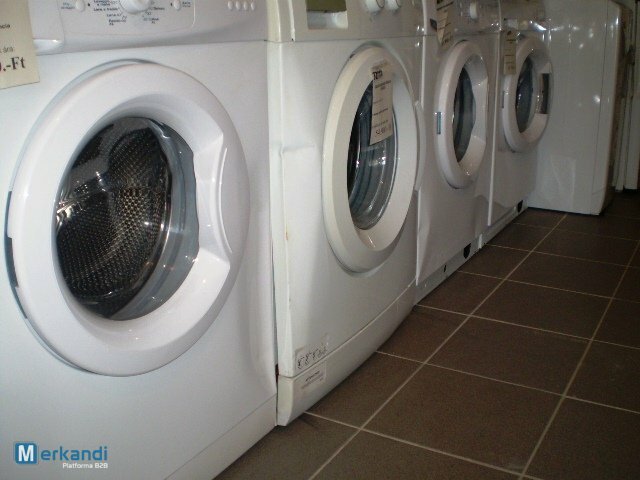 Currently, he is selling a small lot of graded washing machines by Whirlpool and Ignis. The stock includes 16 washing machines total, and because of that, only take all order will be accepted by the wholesaler. The washers’ load sizes are 6kg and 7kg, depending on the certain unit. All of these wholesale white goods have been tested and are fully working. Moreover, the wholesaler is opened for buying the procuts at his place. Still, if You do not want to travel to Hungary, he is also offering a delivery option. If You find this offer interesting, then please go to the link below. There, You will find some more information about this deal, as well as some more pictures of this stock.